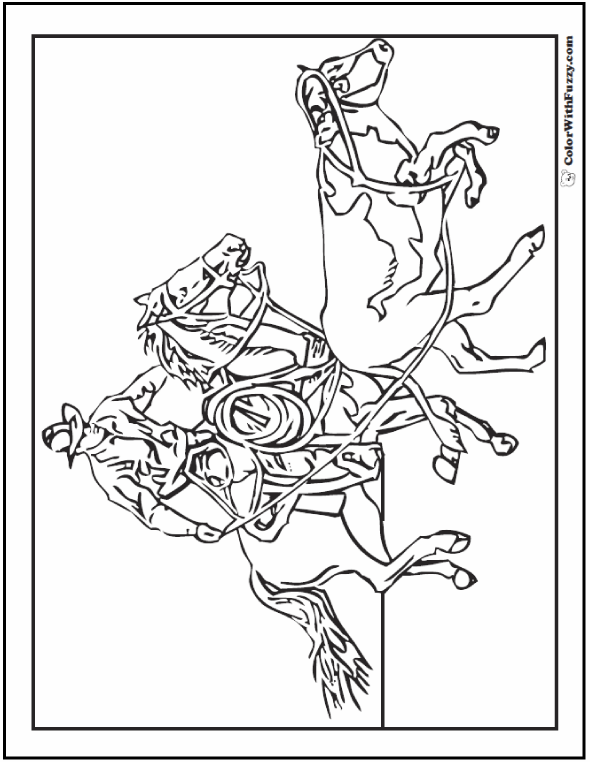 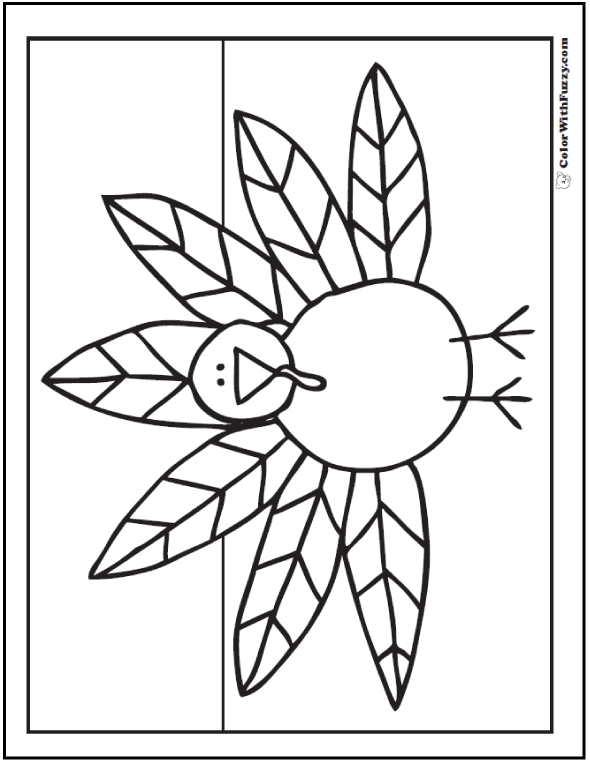 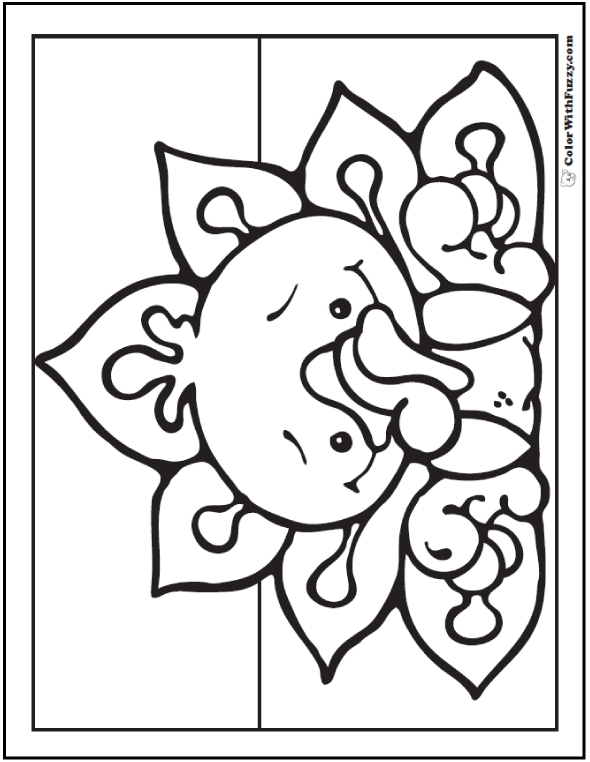 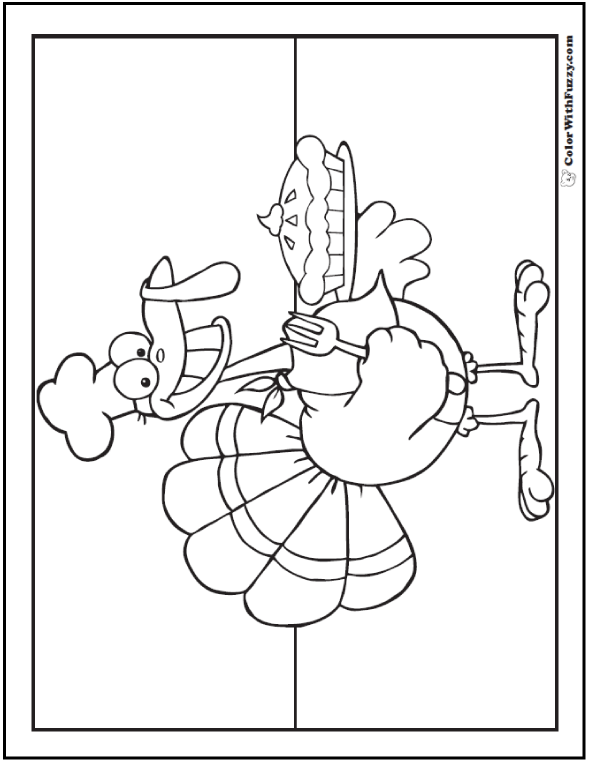 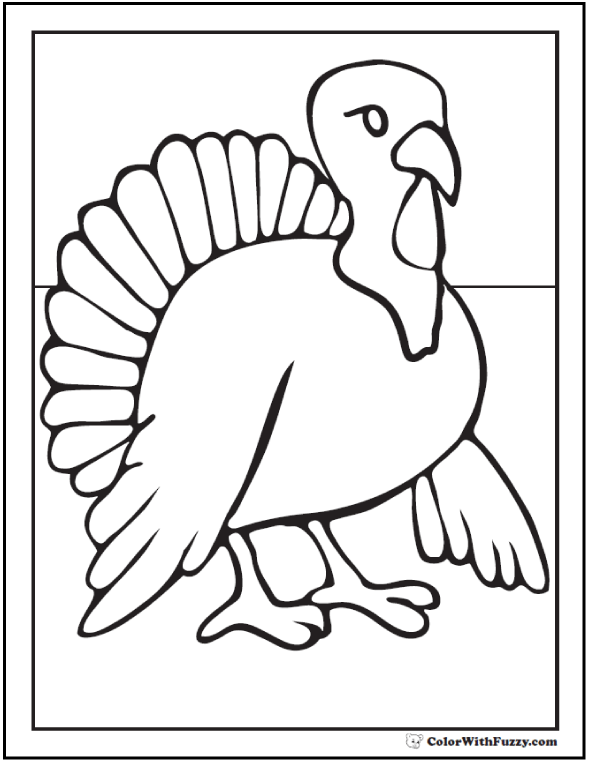 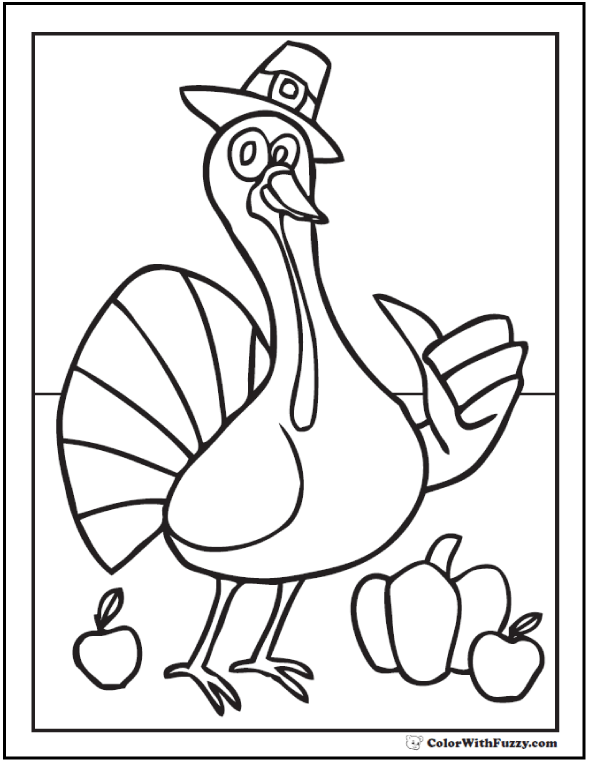 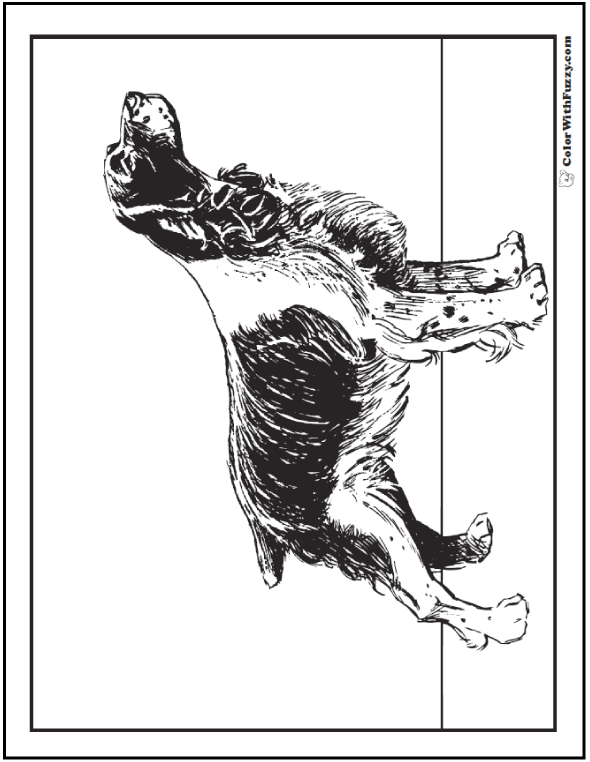 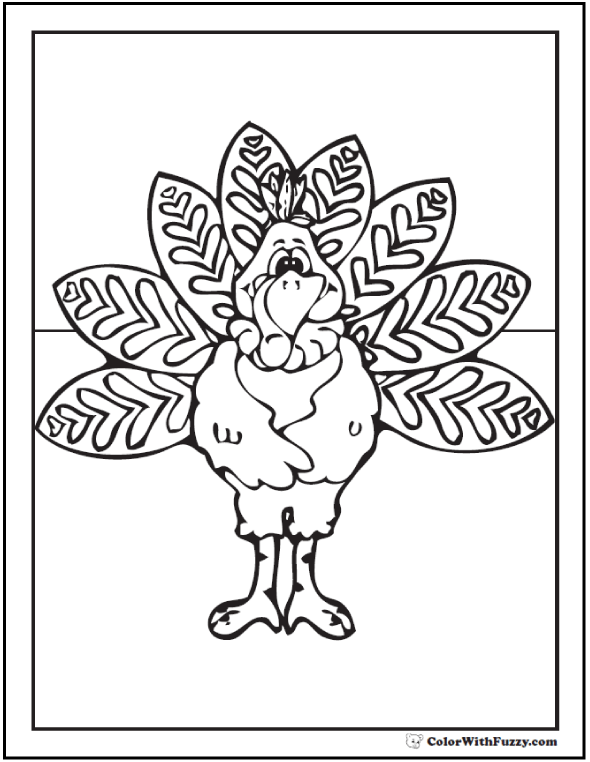 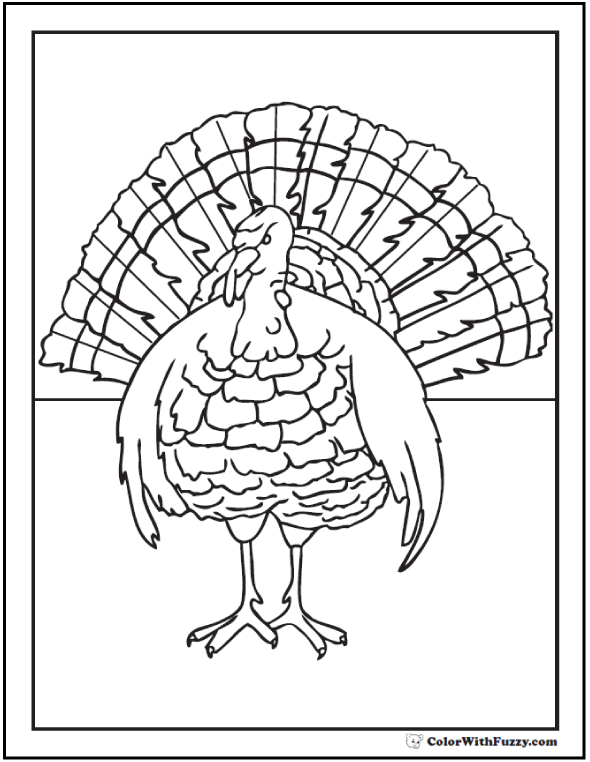 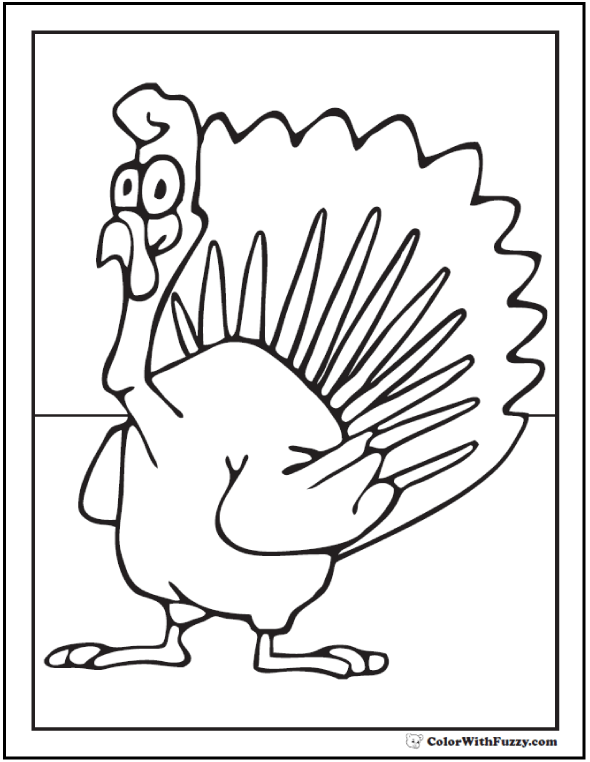 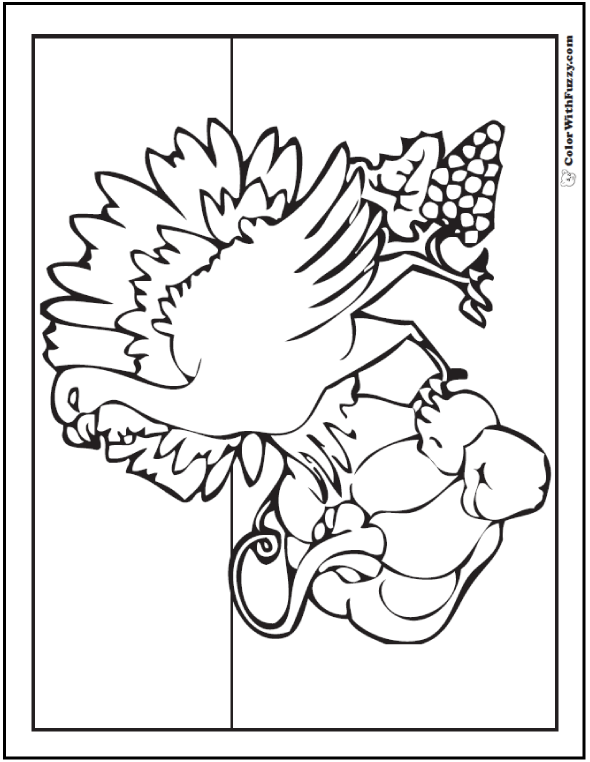 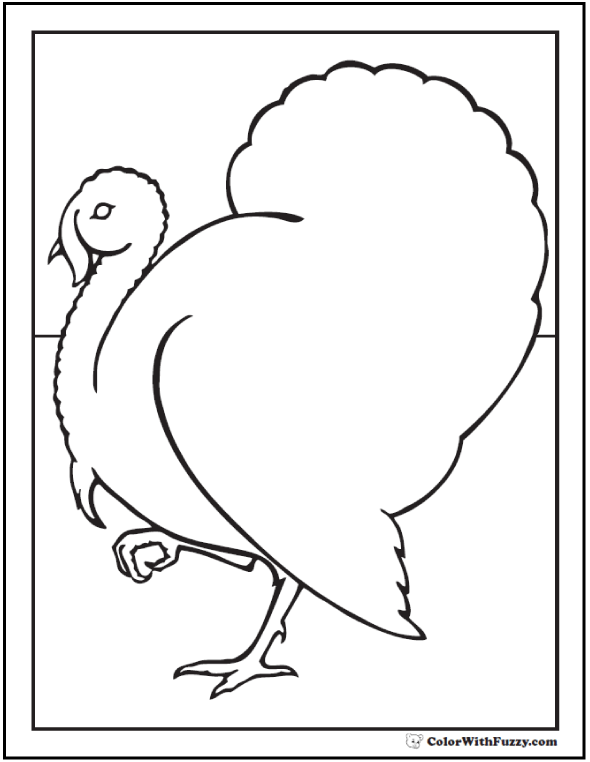 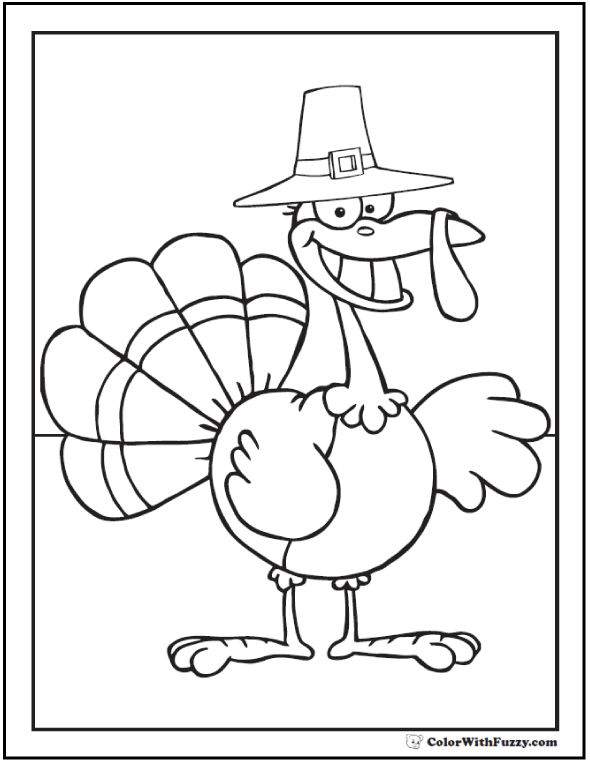 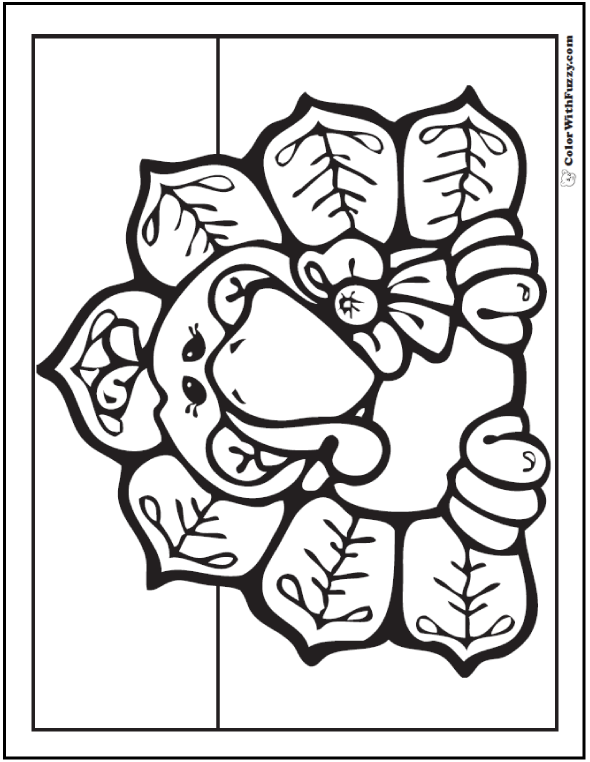 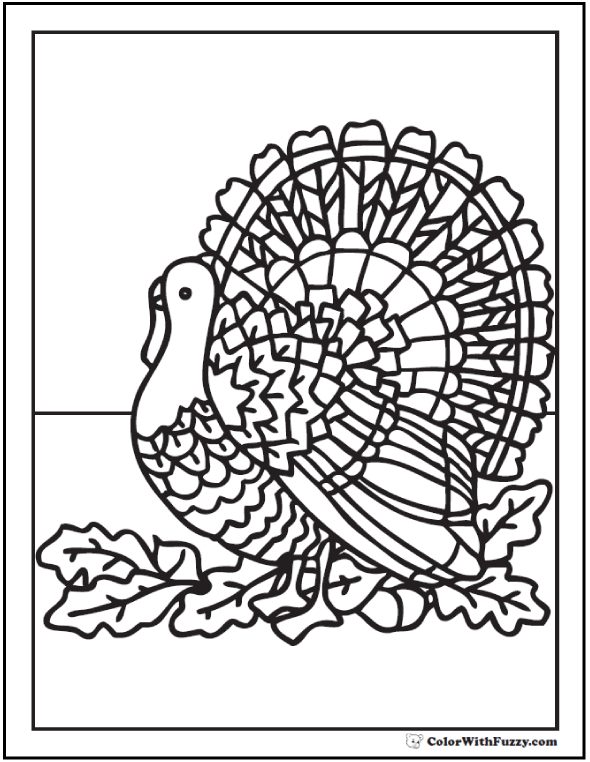 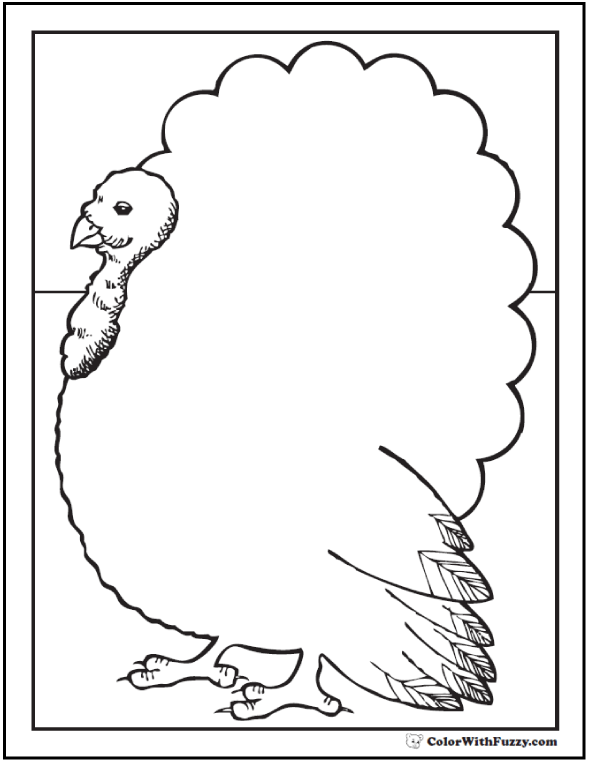 There are over 30 cute turkey coloring pages below. 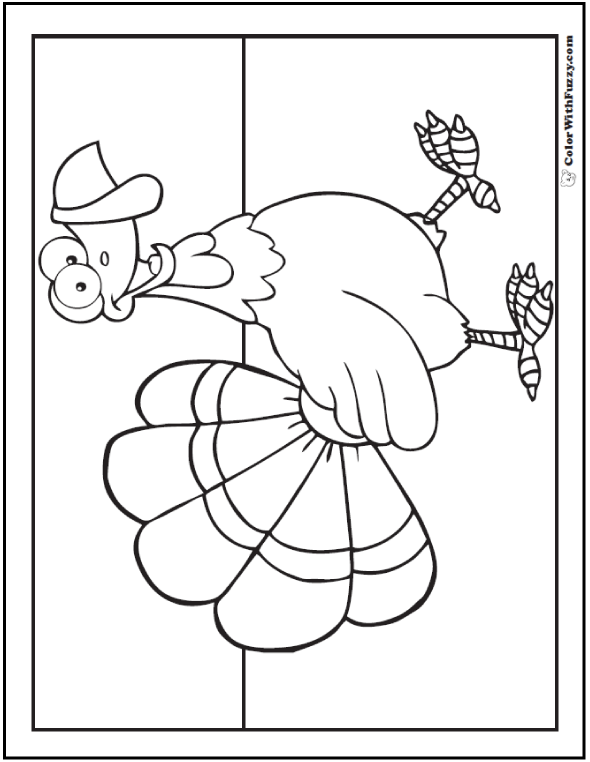 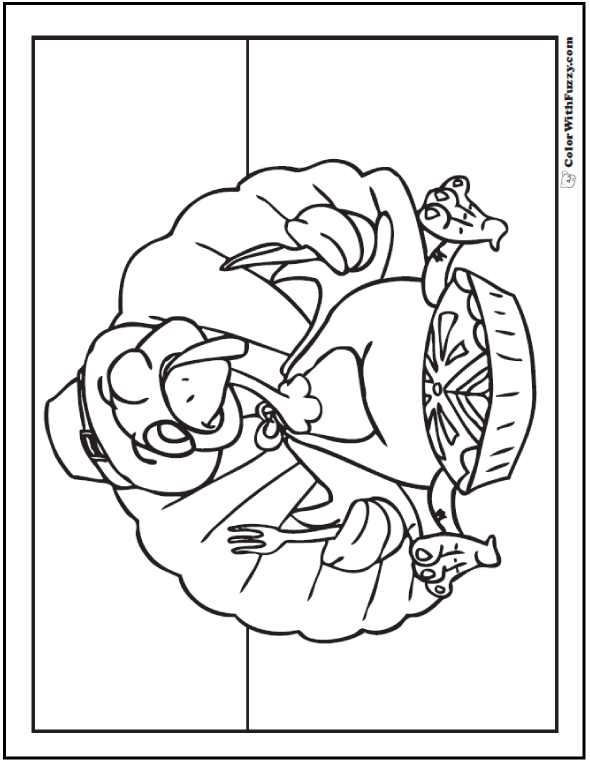 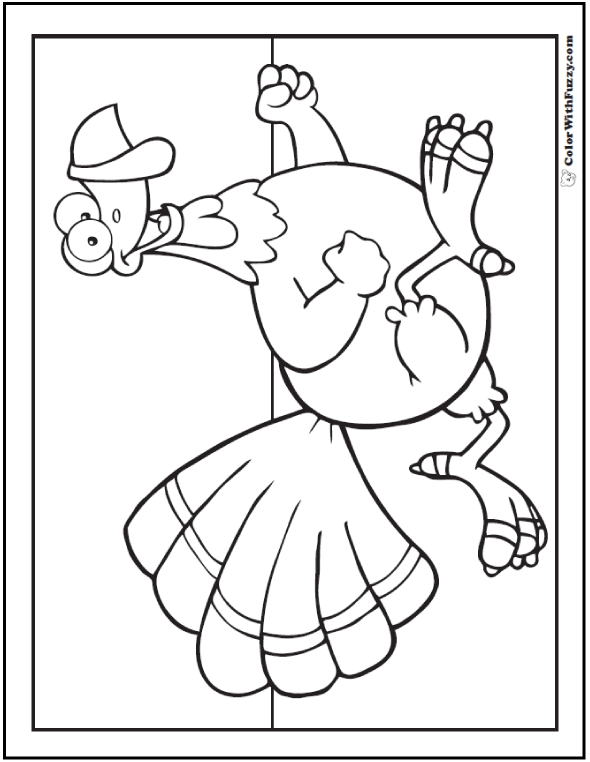 My favorite of these turkey coloring pages is the big gobbler with his bright red wattle and his tail fanned in a circle behind him. 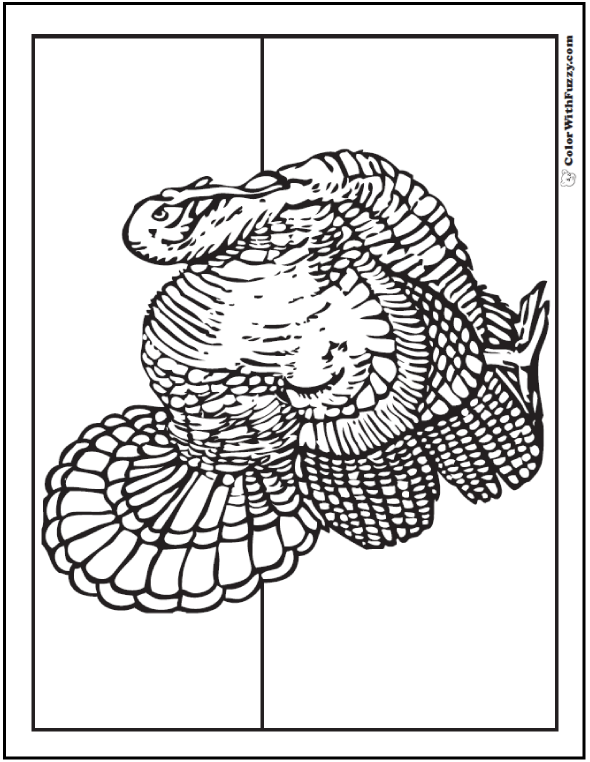 The other one is the huge wild turkey. 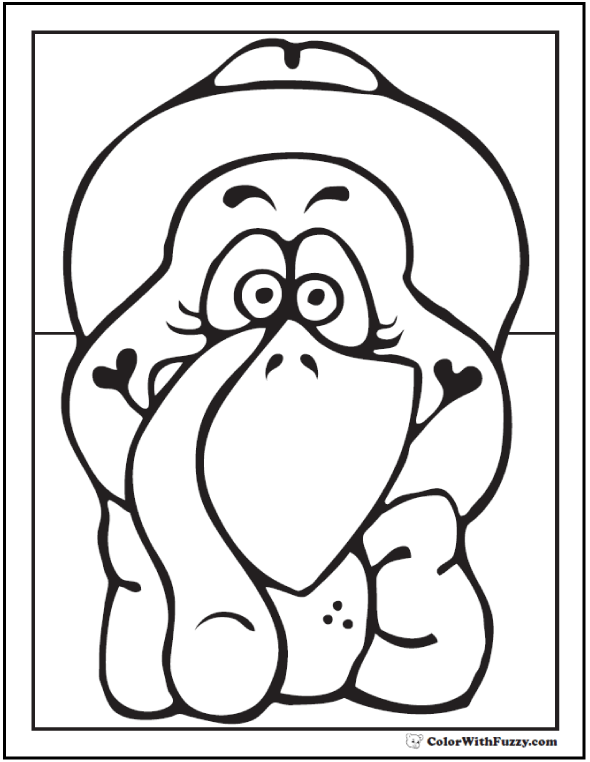 He looks like the grandpa! 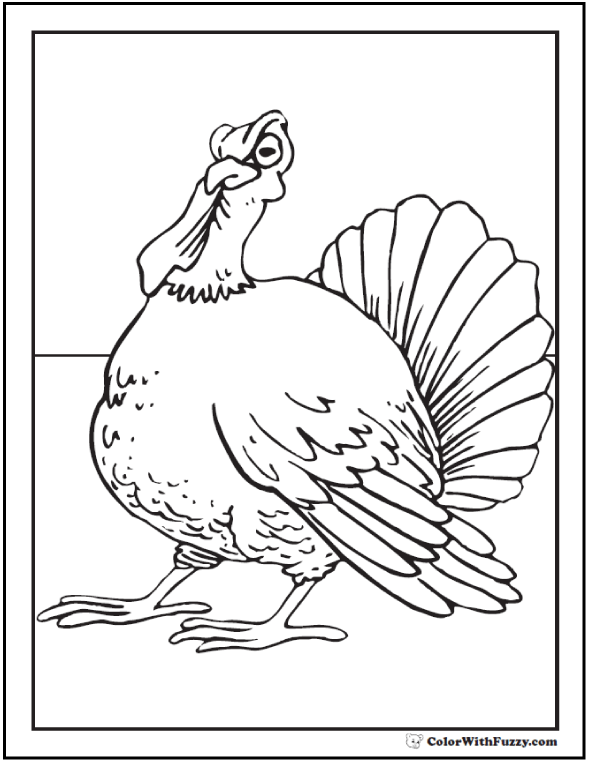 Did you know that the daddy turkey is called a tom and that the momma is a hen? 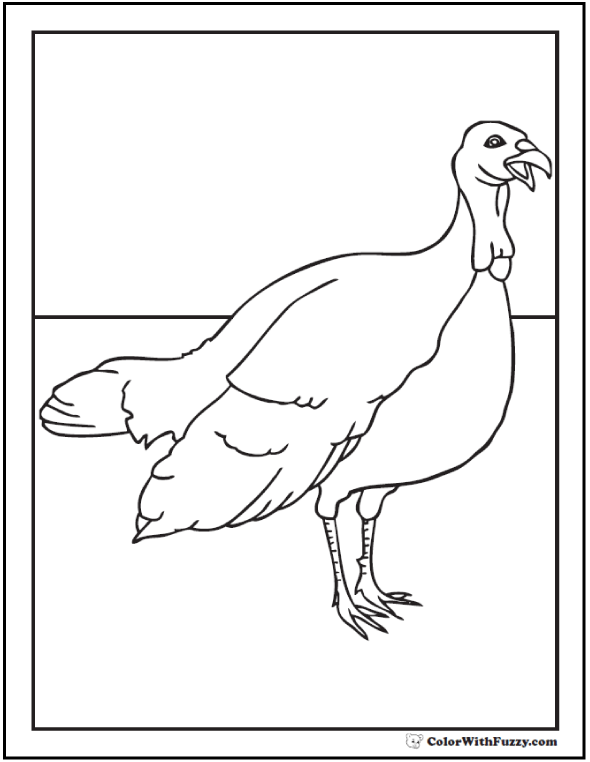 Young ones are called jakes and jennies and little ones are called poults and chicks. 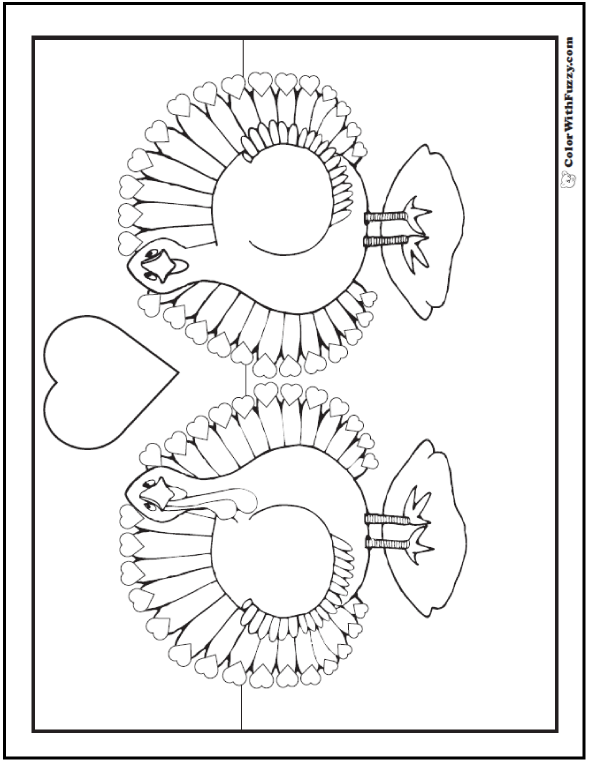 Enjoy some turkey love and wonderful farm and field landscapes here. 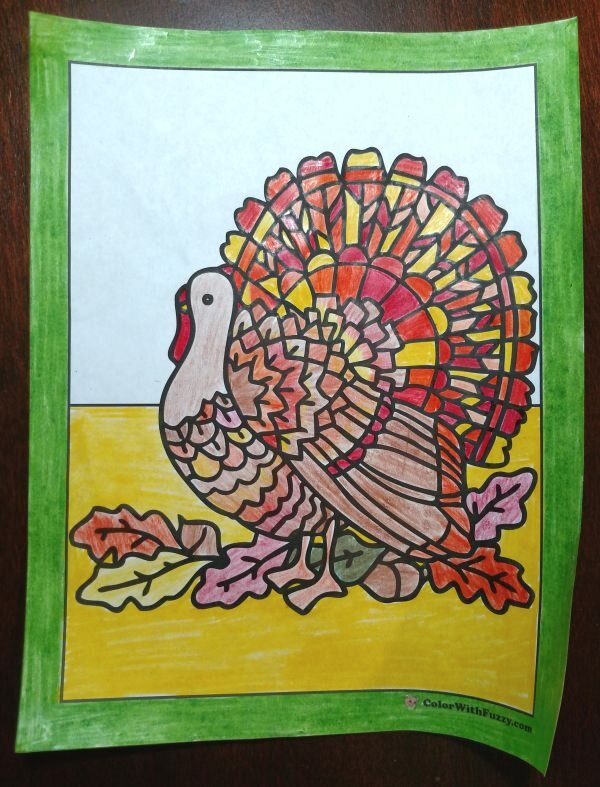 Choose fall colors for a bright effect. 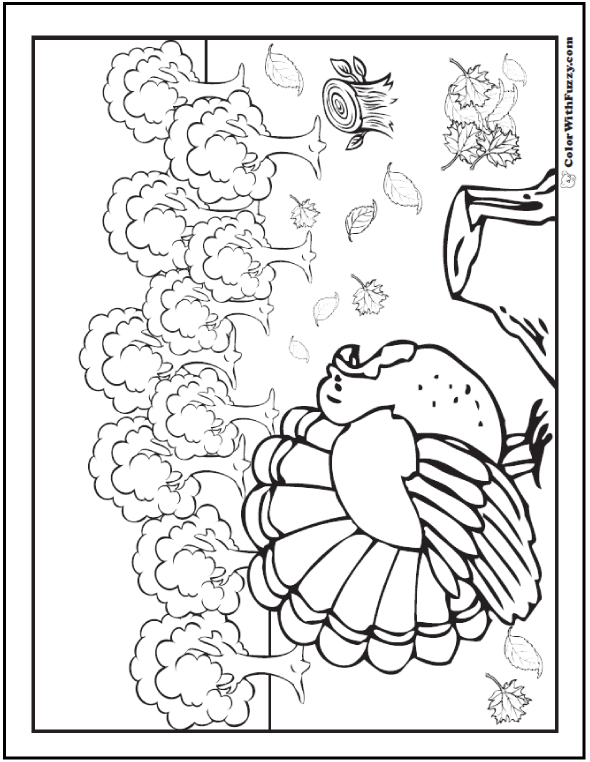 Children like it when you spice up your fall activities with an "Over the hills and through the woods" theme like turkeys. 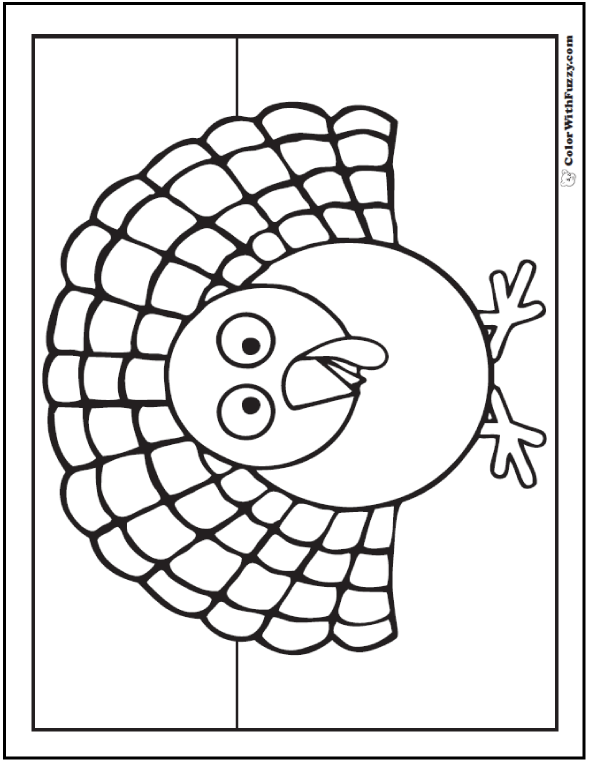 Toddlers like the farm themes and turkeys for Thanksgiving Day and the Christmas holidays. 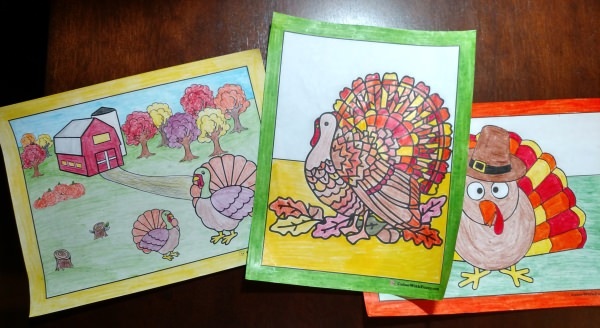 I like to set out the fall colors for the leaves and pumpkins and show the children that the pictures can have green or brown ground with a blue or yellow sky. 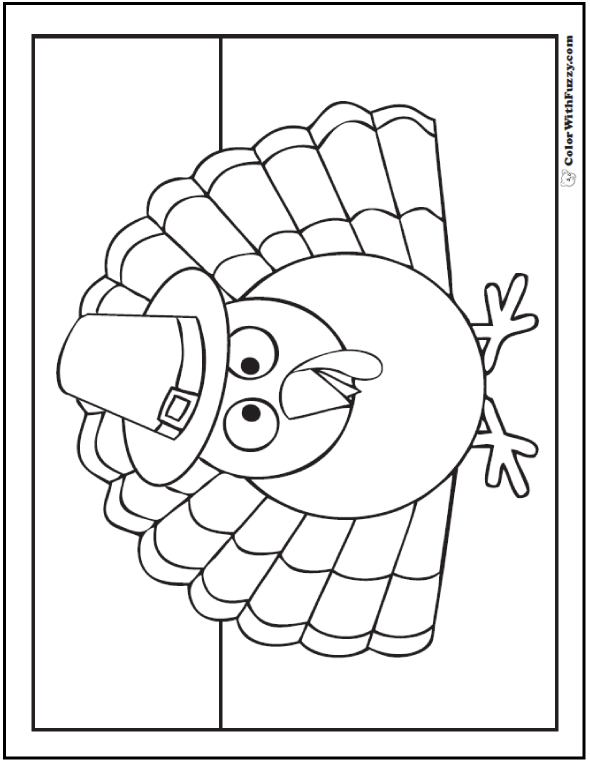 It's great to show preschoolers that they can use different colors in the tom turkey's tail, red for his gobbler, yellow for the buckle on the pilgrim hat. 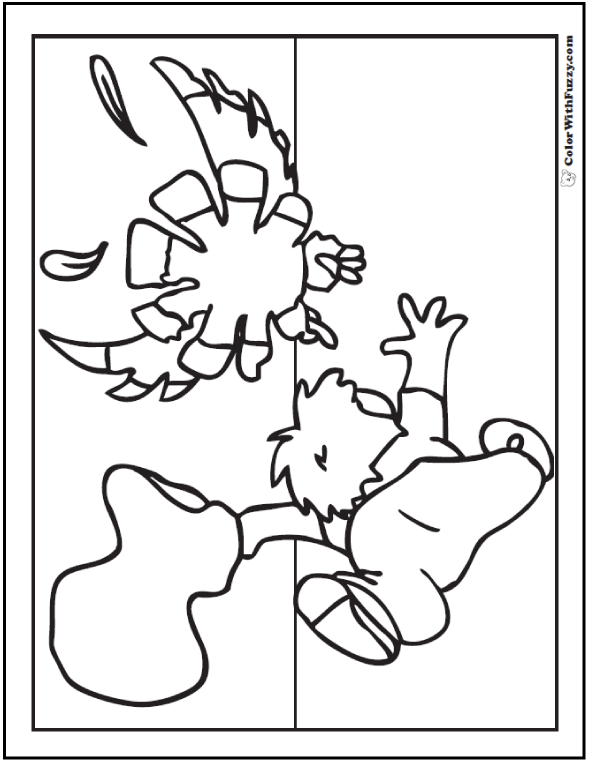 They like having your ideas, yet it's also fun to see what colors they invent. 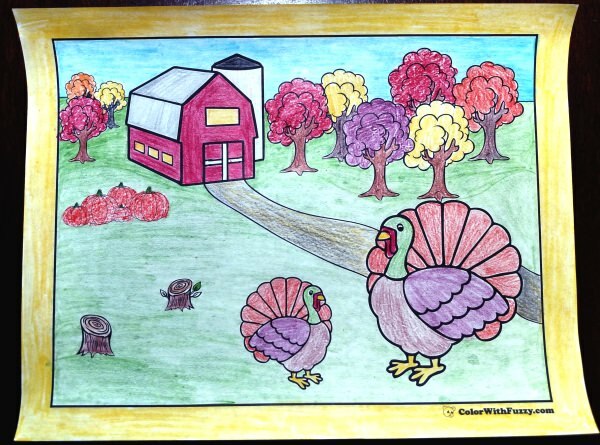 Beautiful autumn scene with turkeys. 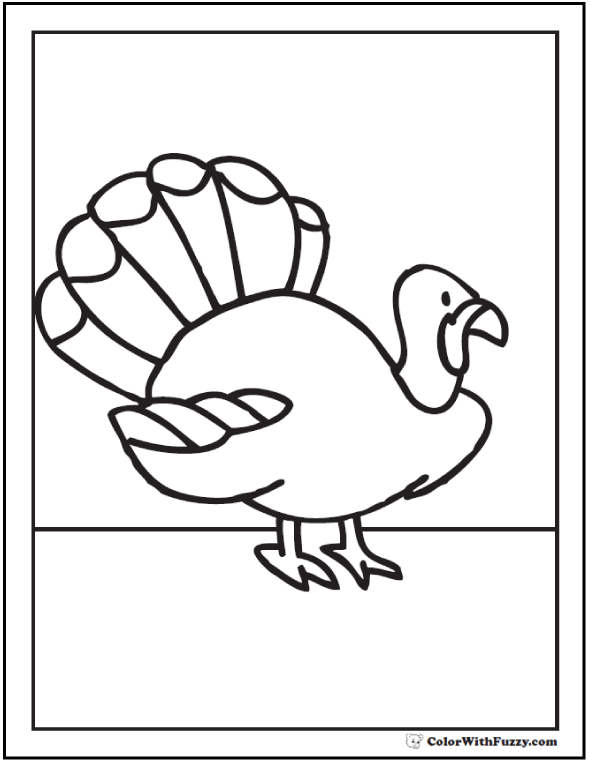 More creative kids can sprinkle corn on the floor for the turkeys to eat and straw for them to scratch. 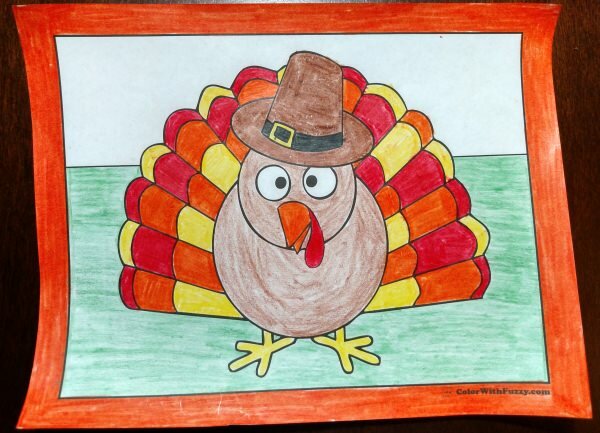 When you're figuring what to prepare for several children, it's fun to allow for the child who wants to make the turkey's tail a rainbow of colors. 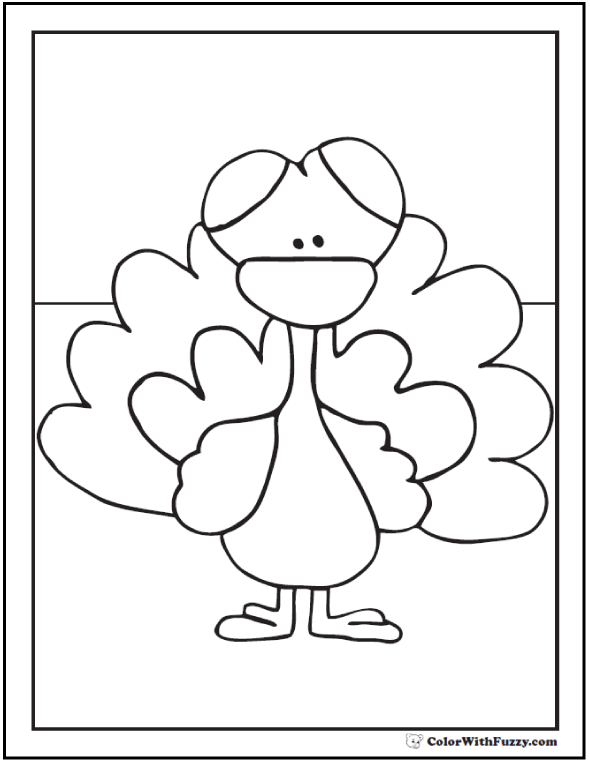 Kindergartners love sending Grandma and Grandpa a turkey greeting card for Thanksgiving. 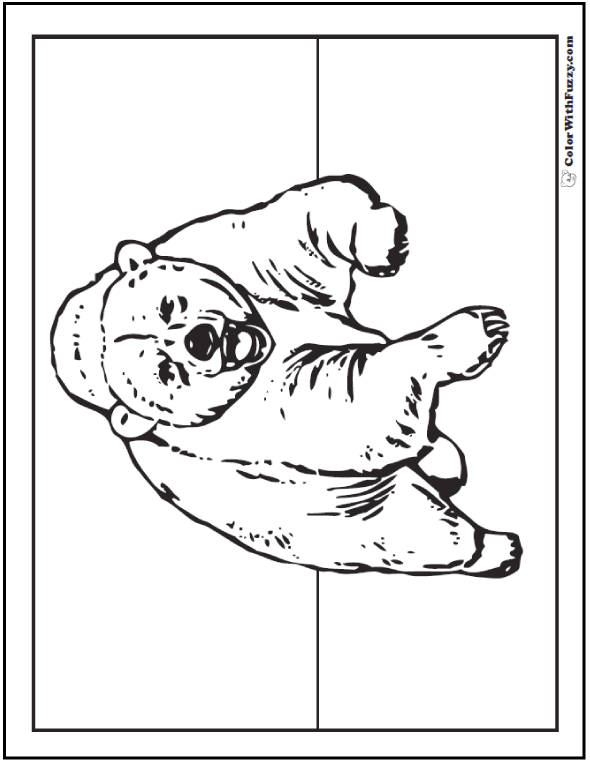 This is super easy to do if you set your printer setting to "booklet". 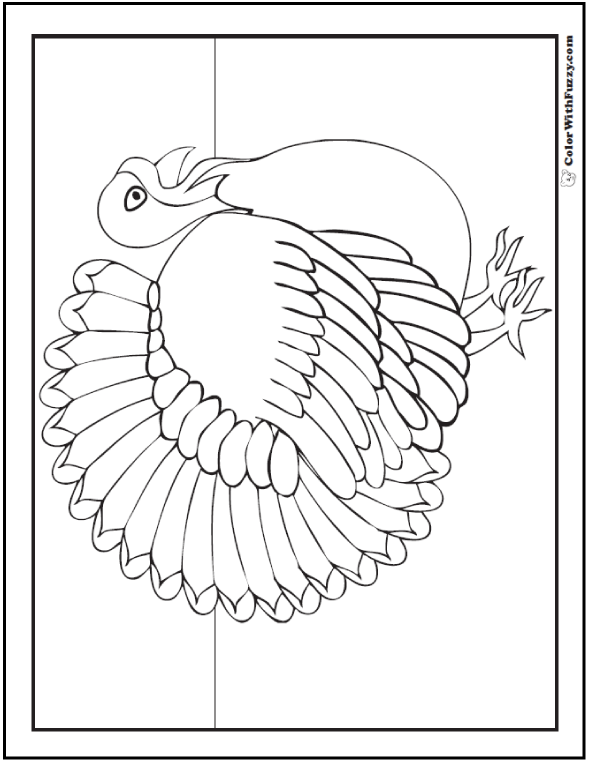 This prints the right side of the paper so you can fold it in half either horizontally or vertically to make a card with a cover. 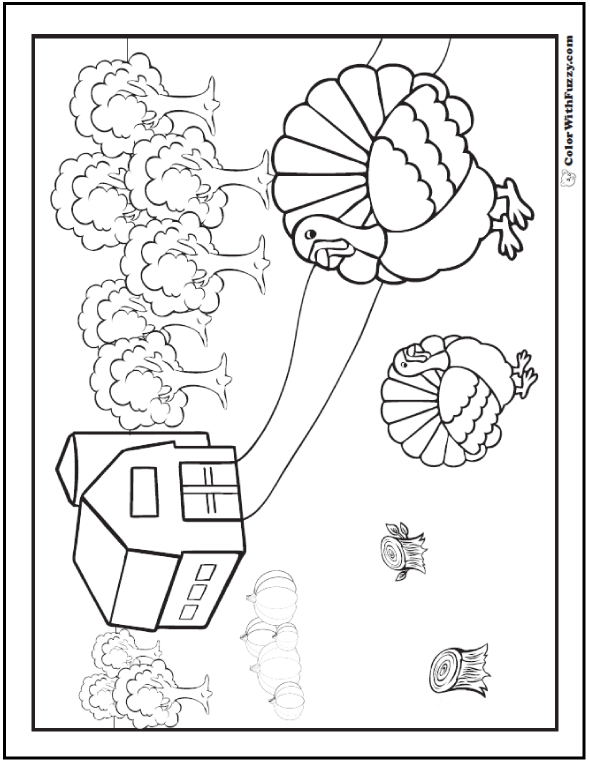 These pages are customizable, so you can also add a message to the picture for a sweet personalized effect. 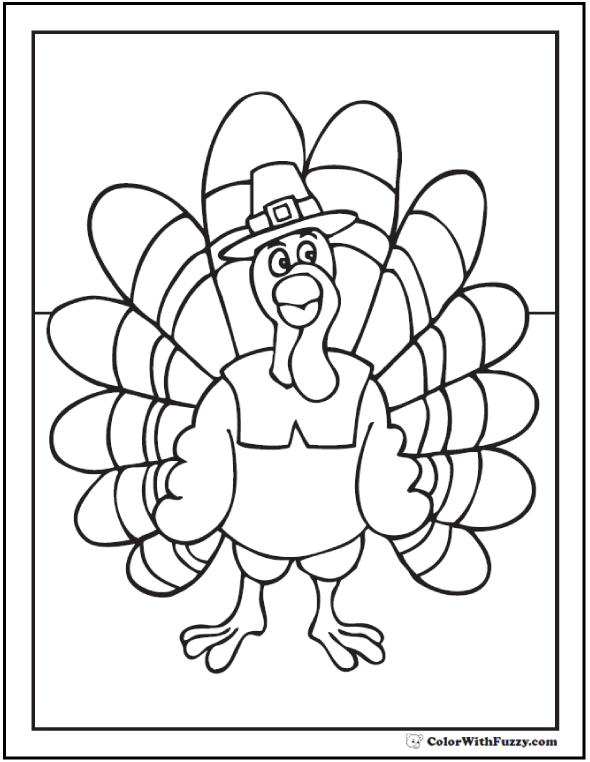 Thank you for coloring with Fuzzy!